When you’re supplying to the country’s most prestigious chefs, you’re clearly doing something right. Kylie Kwong, Neil Perry and Shannon Bennett are just a few loyal customers of Burrawong Gaian Farm. While they’re poultry farmers to the stars now, husband and wife team, Beth and Hayden McMillan started with a slightly smaller goal in mind. Keen for a tree change, the pair uprooted their lives from Kiama, in Sydney’s south, 14 years ago to a farm in Kundabung, on the north coast. Embracing the country life whole-heartedly, they started their own micro poultry farm, using the previous owners of Burrawong to process their chickens. In a twist of fate, a few years later, the McMillans had the opportunity to take over Burrawong – and jumped at it. “We wanted a change in our whole lifestyle direction. Hayden was after a career change – we were both school teachers – and we’ve always been passionate about the land and paddock to plate philosophy,” says Beth. Hayden runs the farm full-time while Beth teaches Indonesian and Music at St Paul’s College in Kempsey. She is also Head of Creative Arts and Languages at the school – a role she loves and is not quite ready to give up. Five years on and Beth and Hayden are the owners of one of the most well-regarded poultry farms in the country. 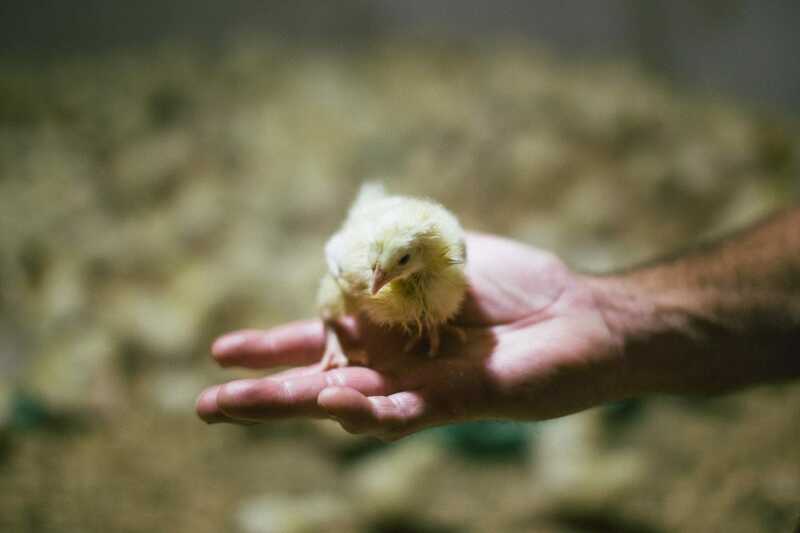 Passionate about sustainable farming, they produce a range of different chicken breeds, including Joyce’s Gold Heritage Chicken and a Transylvanian Naked Neck Heritage cross. Their ducks are fully vertically integrated, with Beth and Hayden breeding, hatching, growing and processing all their ducks at the farm. Muscovy’s and a few geese complete the farm roll call. According to Beth, raising their livestock in a natural, open environment is what makes them unique. The ducks and chickens forage freely, roaming far and wide. Interestingly though, the breeds keep to themselves – and stay on the farm. “Yes, they all stick together, it’s quite funny. They know who they are,” laughs Beth. 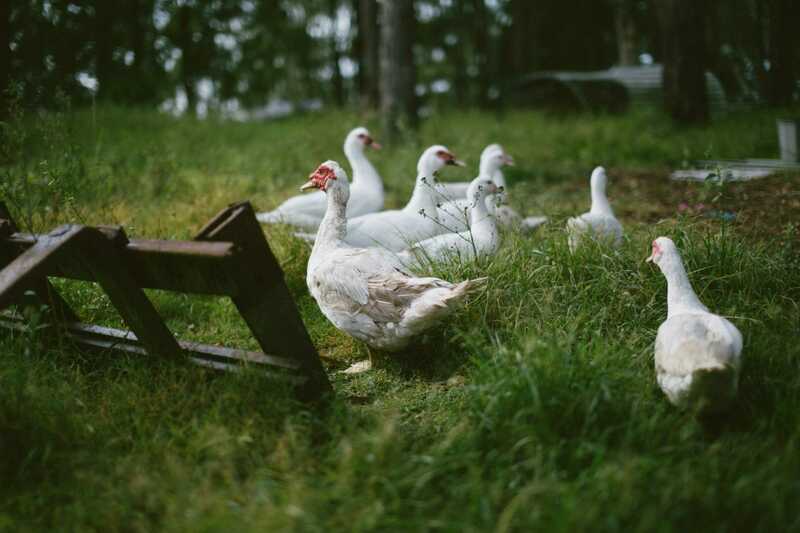 While they describe the farm as small, during peak season Burrawong produces around 500 meat birds a week, 250 ducks and have set a goal for up to 100 Heritage chickens. 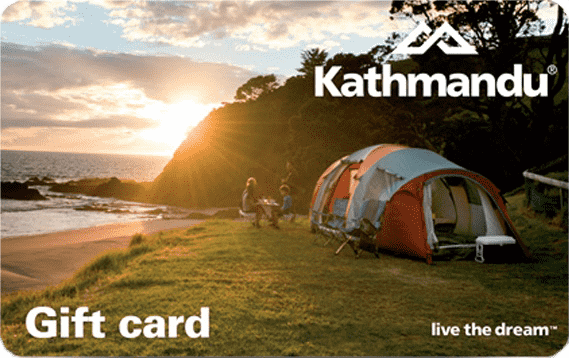 Supplying to customers in Coffs Harbour, Sydney, Melbourne and everywhere in between, Beth says they’re continually looking to grow and expand their brand. The farm’s growing profile has been a result of Beth’s passion for marketing and networking. It’s also thanks to ongoing recognition at Sydney’s renowned Delicious Produce Awards – five years in a row! The farm’s accolades include three gold medals and a state title for their ducks, a gold medal for their Poussin and a finalist title for their chickens. “Each year since taking over Burrawong, we’ve had an award which is something we’re extremely proud of. We grow a range of poultry products and I’m delighted that they’re all award worthy,” says Beth. Kylie Kwong is now Burrawong’s biggest duck buyer, ordering over 100 Pekin Ducks every week. Neil Perry orders regularly for his prestigious restaurant – Rockpool Bar and Grill – which lists Burrawong chickens on their menu every week. Shannon Bennett covers Melbourne and is the biggest client in that market. Beth says supplying these top-notch chefs is a symbiotic relationship. “When you’re at that top end, they want consistent quality produce and it’s up to you to have the bar set high. We’re very fortunate to have staff who help us with presentation, ensuring all our poultry is packaged beautifully,” she said. Running the farm ‘traditionally’ is certainly part of Burrawong’s charm and the farm has helped put other North Coast properties on the map. Beth and Hayden, along with other local farmers, have started a group called the ‘Macleay Valley Food Bowl’, which is designed to help new farmers into the market. Chicken Butchery – Coffs Central, Macksville Quality Meats, Thommo’s Superior Meats – Stuarts Point, Munster Street Butchery – Port Macquarie, L-Bo Butchery – Kempsey & Lighthouse Beach Meat & Poultry – Port Macquarie. Produce from Burrawong is also available at the Newcastle Farmers Markets.